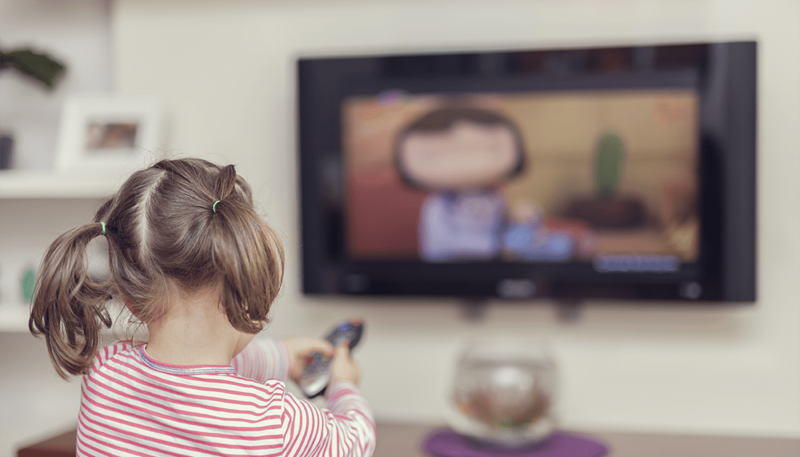 Are Computers and Television Harmful For Your Child's Eyes? Parents often ask me if watching television, working on the computer, or playing video games, is harmful to their child’s eyes. Doctors and teachers find that children today are less visually ready for reading than previous generations because a larger percentage of their play is passive. Activities such as watching TV or playing video games provide less opportunity for development of visual motor skills. Excessive viewing of TV or video games may contribute to myopia because the eye muscles become “stressed” from tightly focusing at a close distance for a prolonged period. The eye muscles are unable to fully relax, which is necessary to focus on objects that are farther away. This occurs more often if there is a genetic predisposition for myopia or nearsightedness. Another drawback of viewing a 2-dimensional TV screen is that it does not provide opportunities for development of depth perception or eye-hand coordination. The limited viewing area of a TV or computer screen also does not allow your child to utilize the full range of eye movements for development of tracking skills. Make sure your child has optimum visual skills. Research has shown that even a small amount of uncorrected prescription can interfere with computer use and limit productivity. Since it’s impossible for a child to compare how they see to how they should see, schedule an annual eye exam. Your child’s visual-motor skills are learned and developed in the same manner as walking and talking. Playing in 3-dimensional space allows the eyes to learn to change focus from far to near like a zoom camera, to develop tracking and eye teaming skills, and to perceive depth. Play activities that promote the development of visual-motor skills include: playing ball, jacks, jump rope, marbles, balloon bouncing, blowing bubbles, and hopscotch. This kind of play helps develop visual motor skills that prepare your child for the visual demands of reading.